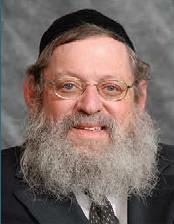 Rabbi Shraga Neuberger has been a beloved and respected Maggid Shiur in New Israel Rabbinical College in Baltimore, MD for close to 30 years. In addition to teaching his students, he guides and counsels them long past their days in Yeshiva. Indeed, the impact he has on his students lasts throughout their lives. Reb Shragi, as he is lovingly known, is a sought after address fir dealing with the wide spectrum of local, national and international Jewish communal matters. Rabbi Neuberger has counseled countless families over the decades dealing with the challenges of life and has earned a reputation for his keen insights into human nature and relationships. Articles written by Rabbi Neuberger have been featured in notable publications, including the Jewish Observant and Klal Perspectives.